This course provides an introduction to the fundamental analytical tools and use of information sources in corporate finance. Learners will be able to understand financial statement analysis, time value of money, valuation of securities, risk, rates of return and capital budgeting techniques. This course is not only a good fit for students who major in finance, it can also equip decision makers and employees with finacial knowledge. For students that are finance majors, they will learn to think as a business manager whose goal is to maximize shareholders’ value. In every company, someone has to manage that money or else the company doesn't stay in business for further development. That's the role of the corporate finance team. 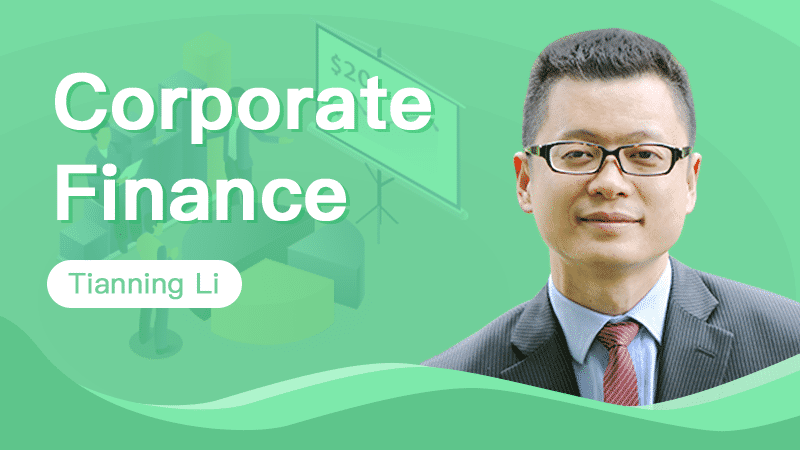 The corporate finance department is responsible for managing a business's money – forecasting where it will come from, knowing the current financial stage, and helping the CEOs decide how to spend to yield the greatest return. They look for ways to free up capital, increase profitability, and decrease expenses. If any department wants to make a big expenditure, it's usually run by the corporate finance team first to ensure that the project will be profitable. They will look at the best growth path for the company, whether that's through acquiring other companies or re-investing in the business to expand internally. For decision makers, by knowing financial logics in bussiness operation while developing financial thinking, they can analyze the fund information more effectively, therefore help to make more specific business strategy. As for employees, having financial knowledge allows them to understand company's financial decisions, saving the communicating costs incurred by misunderstanding on financial process. Moreover, after taking this course, learners will be able to make intelligent personal financial plans: know how to budget, manage debt, approach investing in a disciplined way, and set up a retirement account. Those are financial techniques that will bring benefits to their lives and families. Understand the financial decision-making process and to interpret the impact that financial decisions will have on creating value. Demonstrate knowledge of the concept of risk and its relation to value. Show competency in quantitative tools and techniques that will aid managerial problem-solving and decision-making. Demonstrate proficiency in using financial calculators to solve quantitative problems. Tianning Li received his Ph.D. in Finance from the University of Tennessee. He is the Associate Professor of Finance at Hood College. He is also the member of Financial Management Association, American Finance Association and The Association of Private Enterprise Education. Former reviewer of several internationally recognized academic journals, such as Contemporary Economic Policy, Journal of Financial Research and International Journal of Business. His research interests include Capital Structure, Cost of Capital, Ownership Structure, Entrepreneurship, Emerging Markets, and Market Efficiency. 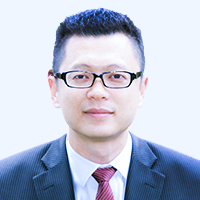 Professor Li has published several significant research papers in international academic journals, including Journal of Business and Economics, Journal of Private Enterprise and International Journal of Business. And he is constantly invited to present his research outputs at prestigious conferences. He has received honors, including Hood College Board of Associates McCardell Professional Development Grants, Summer Research Grant of University of Tennessee and Graduate Assistantship of University of Tennessee, etc. 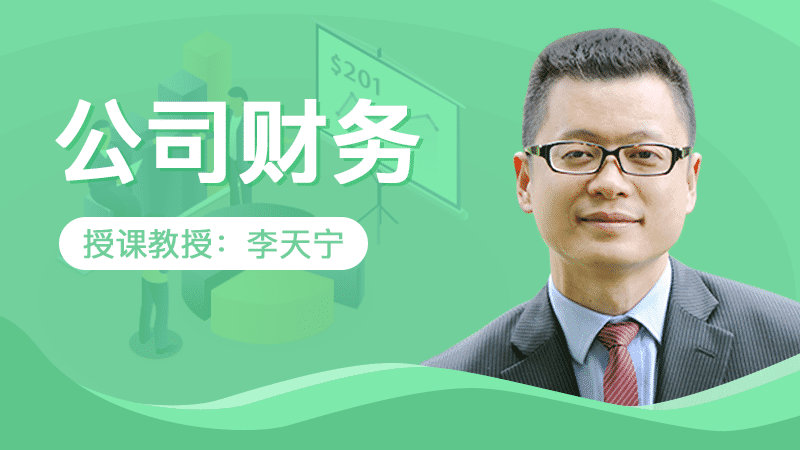 Some of the academic papers that Professor Li is currently working on are Price and Liquidity Effects Associated with the Creation of Dow Jones Islamic Index, Will Small Business Administration (SBA) Guarantee Create Another Bubble?, Do Banking Sectors with Better Regulation Performed Better in the Financial Crisis? , Ownership Structure in Determining Capital Structure Decision and From Entrepreneurs to Millionaire CEOs: Wealth Effects On Start-up Firms’ Decision Making. Capital Structure, Cost of Capital, Ownership Structure, Entrepreneurship, Emerging Markets, and Market Efficiency. Work in progress: Price and Liquidity Effects Associated with the Creation of Dow Jones Islamic Index, Will Small Business Administration (SBA) Guarantee Create Another Bubble?, Do Banking Sectors with Better Regulation Performed Better in the Financial Crisis?, Ownership Structure in Determining Capital Structure Decision and From Entrepreneurs to Millionaire CEOs: Wealth Effects On Start-up Firms' Decision Making. Published several significant research papers in international academic journals, including Journal of Business and Economics, Journal of Private Enterprise and International Journal of Business. 1.4 What is a Financial Market? 1.5 What is an Efficient Market Hypothesis?